It's been awhile since I"ve blogged about double letter puzzles. I just introduced this year's group of students to them for the first time, and I thought I would share the three puzzles I used to do this. Taking inspiration from Lisa Richardson, I decided to magnetize the puzzle pieces and place them on my dry erase board instead of laying them on a puzzle table like I have done in the past. Check out previous blog posts here and here. I'm super excited with the results of magnetizing these puzzles. I've had WAY more students attempt them than I ever had last year with the puzzles laying horizontally on the puzzle table. I will definitely be keeping these puzzles vertical going forward! 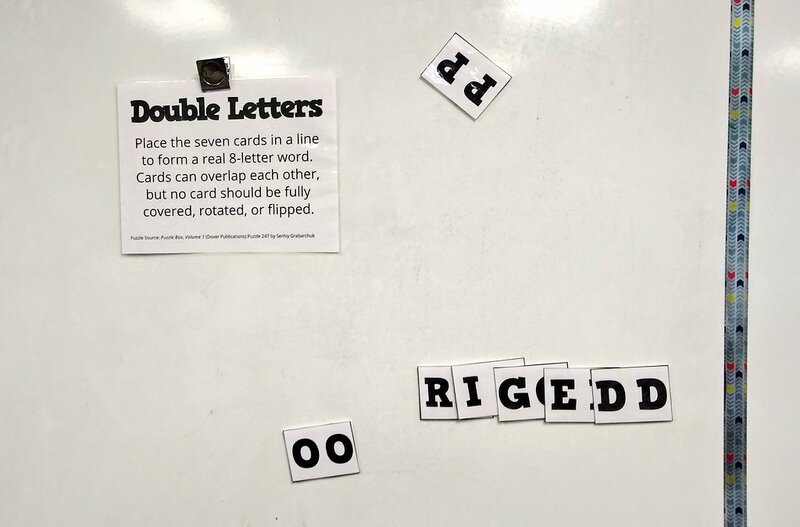 The goal of each puzzle is to place the double letter cards in a line in an overlapping manner so that a real word is formed. No card may be fully covered, rotated, or flipped. Here's an example of how the letters should be arranged. Keep in mind, the words you will be creating is MUCH longer! I put up all three puzzles at one time on different sections of the whiteboard. In the future, I would probably print each set of letters on a different color of paper because my kids have had a tendency to mix the letters up to spell other things... Previously, I only ever put out one puzzle at a time, so the colors were never an issue. These puzzles were created by Serhiy Grabarchuk. 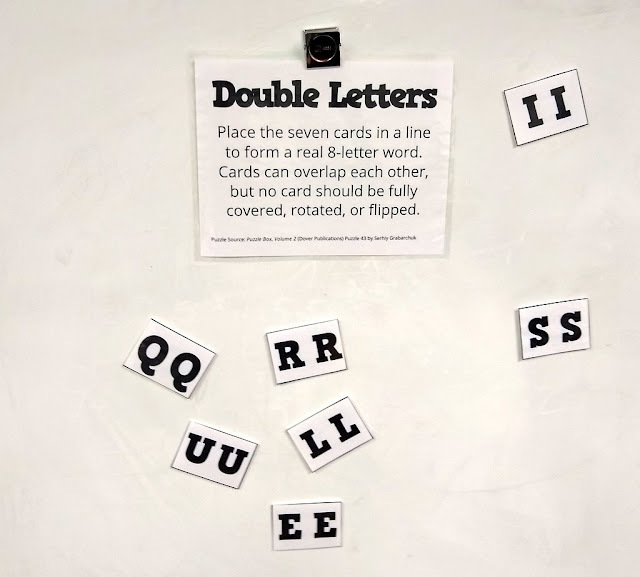 I found out while doing some googling as I wrote this post that these puzzles are actually known as "DoubLetters" puzzles. Serhiy published another one of his DoubLetters puzzles on Puzzles.com in February of 2012. You can download a PDF of that puzzle here. 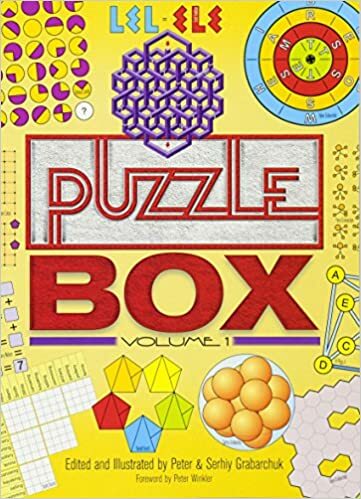 These three puzzles were published in Puzzle Box, Volume 1 and Volume 2 (affiliate links). 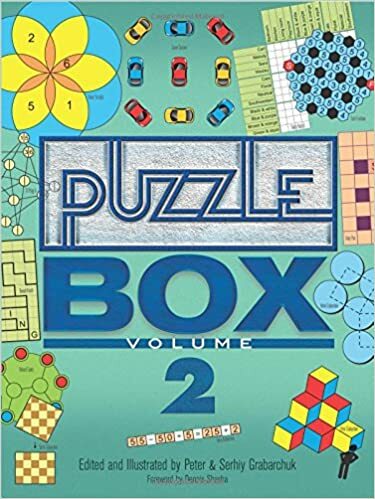 I cannot recommend this series of puzzle books enough for classroom teachers. Every time I flip through one of these books, I end up bookmarking ten more things I want to create for my students! Download the files for these puzzles here, here, and here. 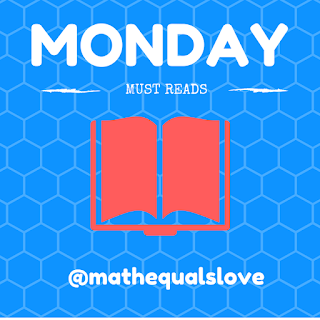 I wasn't sure if I would find time to put together a new volume of Monday Must Reads this week. But, an unexpected snow day has taken away all my excuses. So, join me as I take a journey through my favorite tweets of the week. I hope you find these as inspiring as I do. Check out these fun math cheers from Laura Lynne Duffy! Check out this brilliant "missing step" set-up from TickTockMaths! 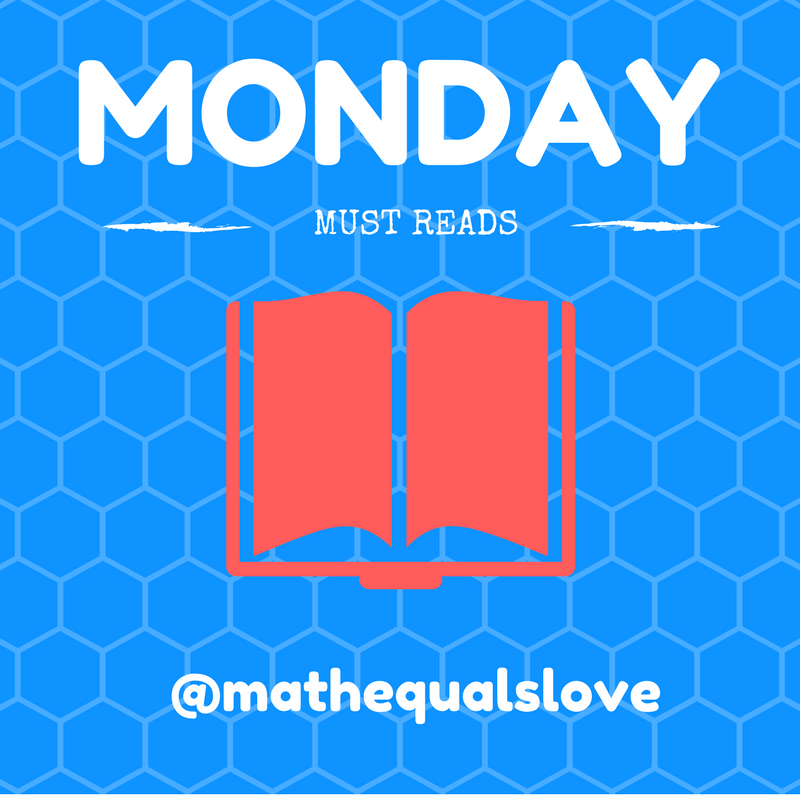 This weekend, I stumbled across an awesome Math Date twitter account. Can you turn each day's date into a proper math equation? This account definitely deserves a follow! 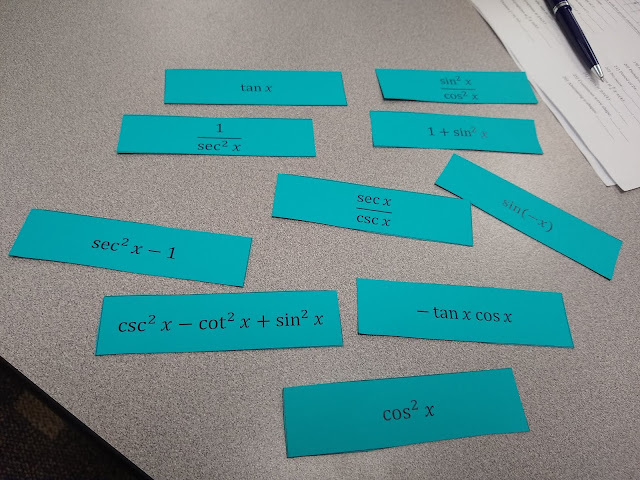 Dana Harrington shares a WODB for rational expressions. Stats Teachers: check out this fun, hands-on data collection idea from Lisa Giesbrecht! 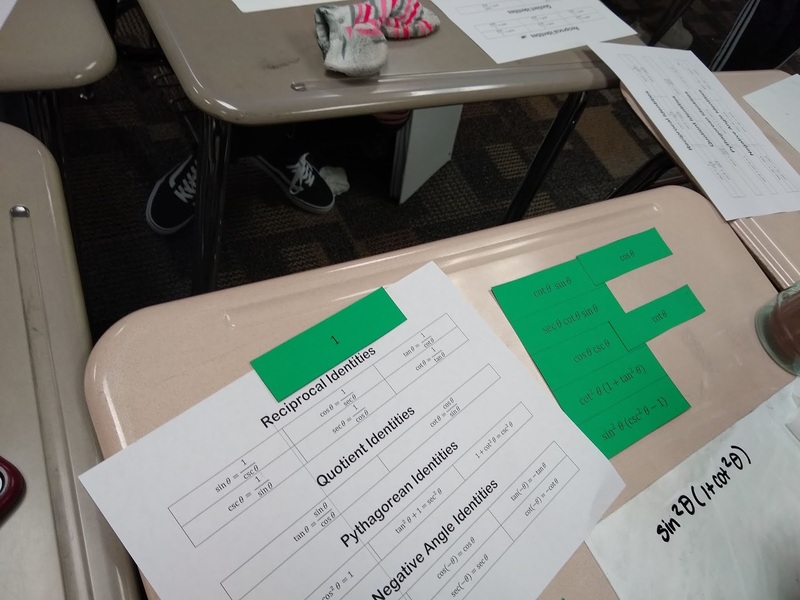 Marc Lewis shares a way to get pre-calculus students up and moving around the school while learning with a fun scavenger hunt. Ashley Langenderfer shares the fun idea of vector racing. How awesome does that sound?!? Check out some of the roller coasters created by Mrs. O's students. Steve Phelps shares a gold-fish inspired stats lesson. Amber Longhi shares an inspiring extra credit project. 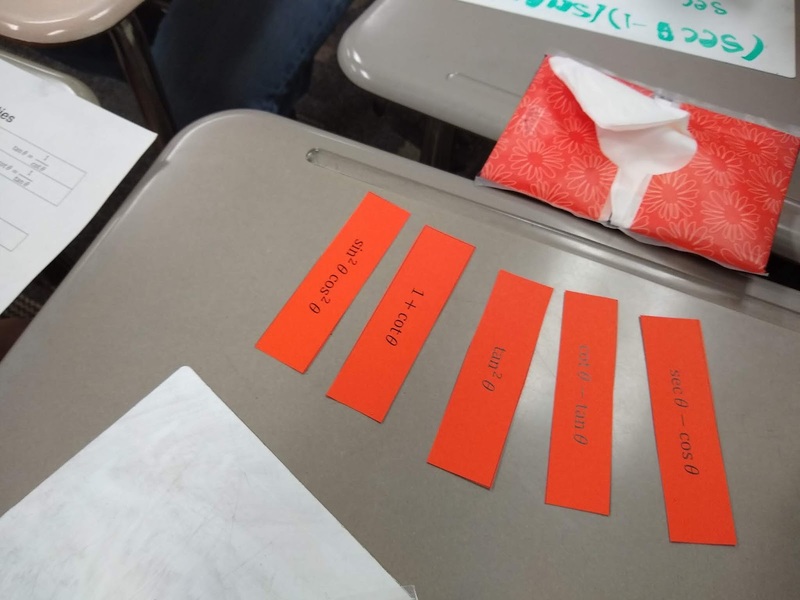 Amie Albrecht inspires a fraction/decimal inspired WODB. I also love this combination of Prime Climb with WODB. Anna McQuillan's tweet caught my eye for something in the background. Check out the awesome desmos artwork on display for all to see! Ryecroft Academy shares a great practice structure that I could see being implemented in the secondary classroom as well! I love Laura Montgomery's idea of a real-world game of life! 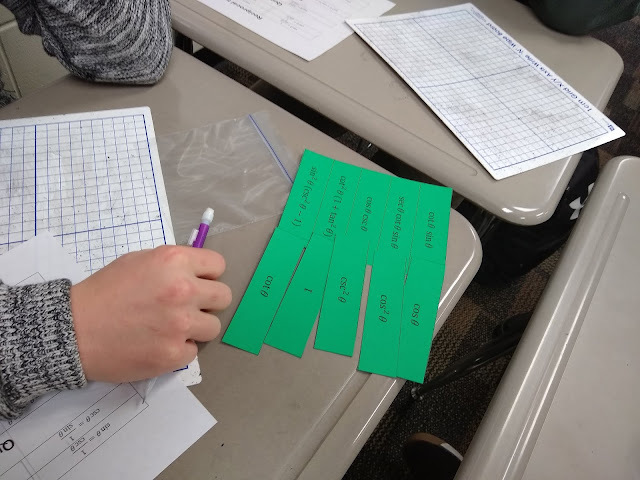 Paul Jorgens shares a great idea for graphing with magnets. 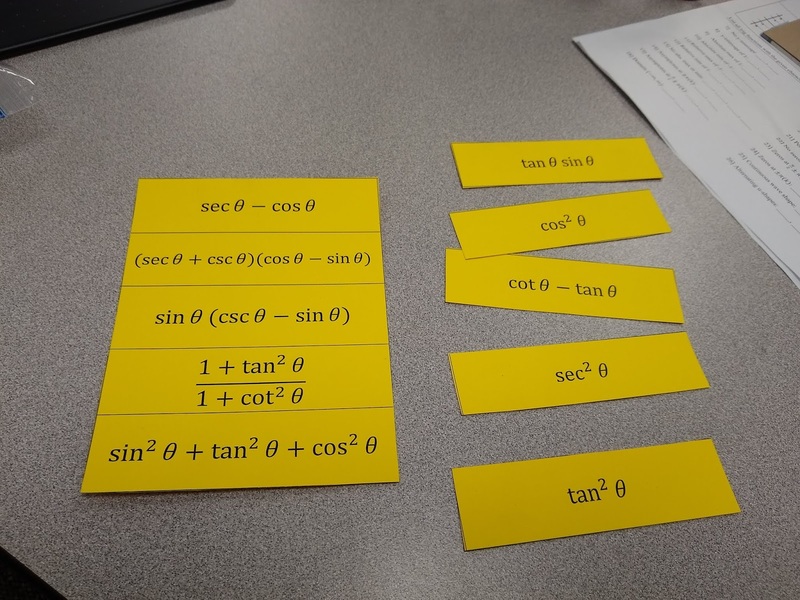 These sequence puzzles from Mathspad look lovely! 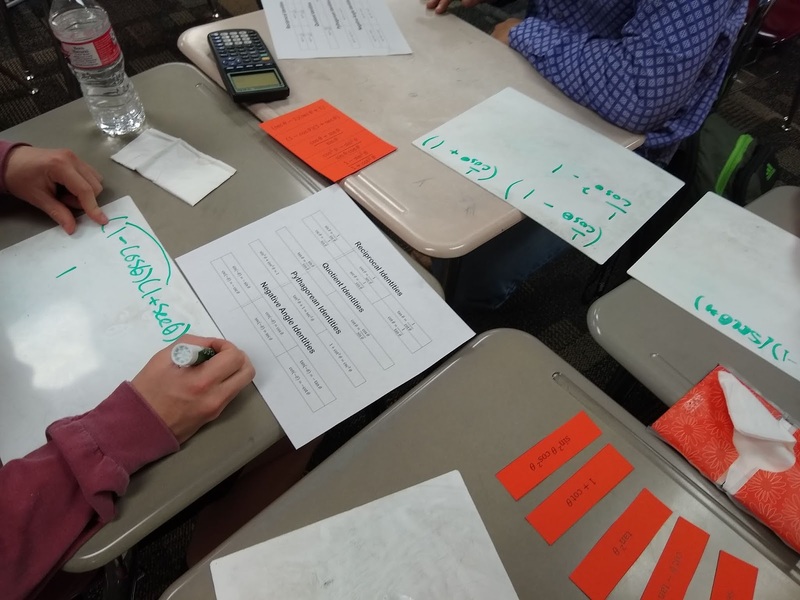 Check out this real-world lesson using exponential functions from Julia Anker. Her blog post with all the details and files is here. 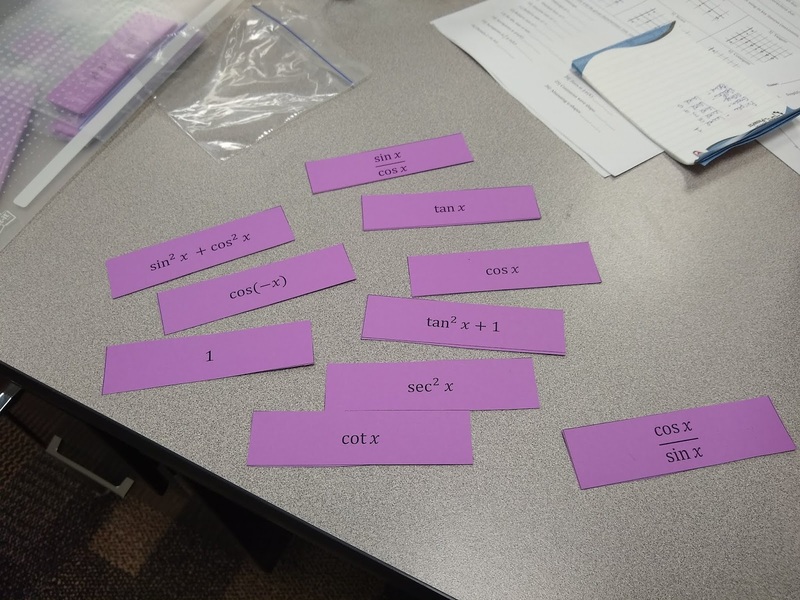 Will M Dunn shares a great splat task for systems of equations. 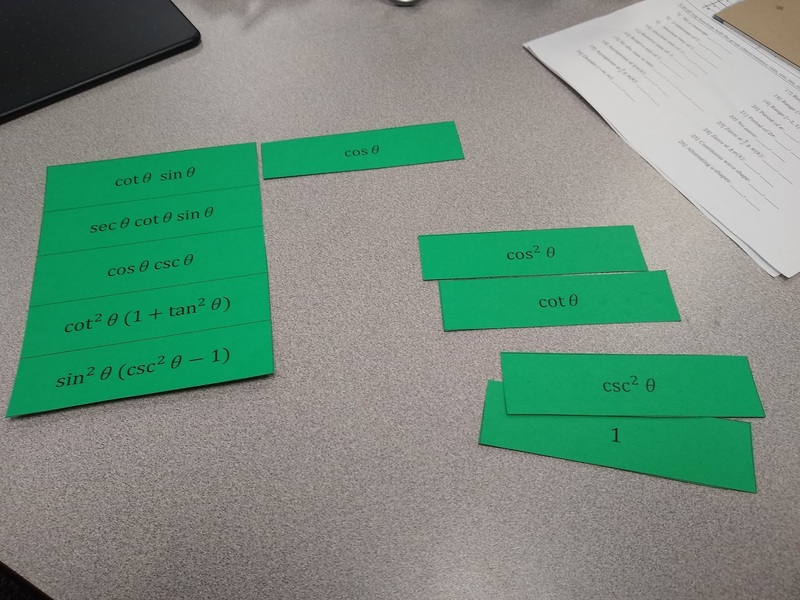 Check out this Desmos performance task from Glen Lewis! Claire Verti shares a fun venn diagram puzzler. Bristol Maths Jam shares an interesting game called HOT FAT TUNE. I've seen a similar game before in the work of Frank Tapson (Homlits page 4). João Vieira shares a great hands-on demonstration of alternate angles.Be sure to click through to the tweet to watch the video! 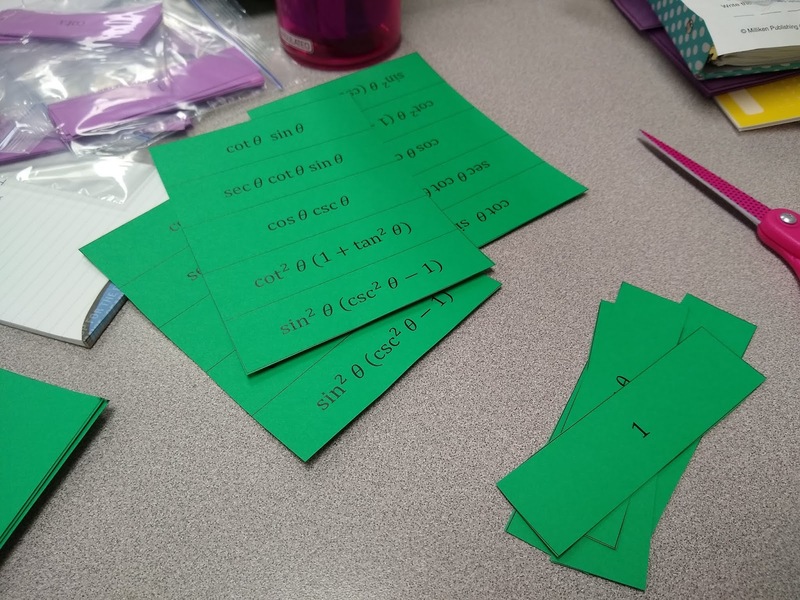 This Quadrilateral Auction from Jennifer Davis looks like so much fun! 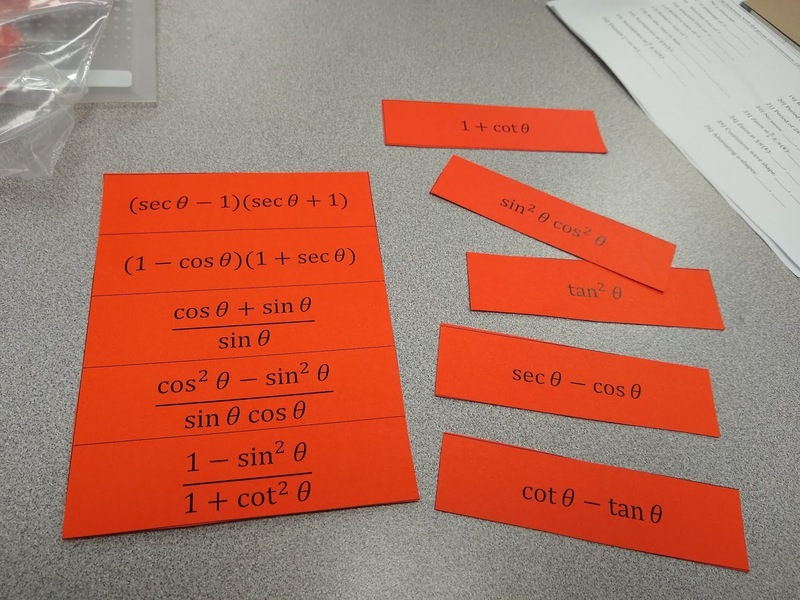 Damien Eterre shares the kit he put together for math emergencies. Until next time, keep sharing your awesome ideas! 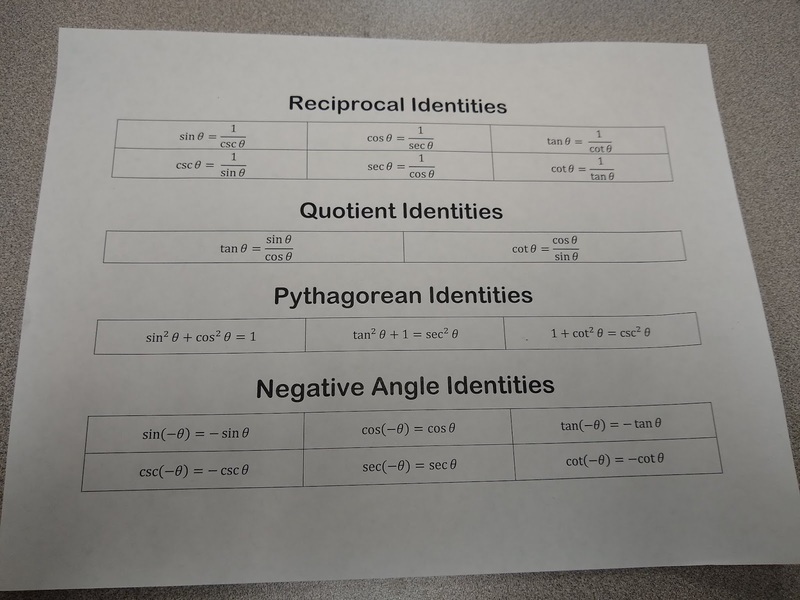 A few weeks ago, I tweeted about a trig identity match-up activity I created. I promised to share the files, so that is what I am doing today. Sorry it's late! This is a different activity than the trig identity group challenge I shared a couple of weeks ago. In fact, I actually used this matching activity first and the group challenge two days after it. When my first day's introduction to trig identities went over much worse than I had hoped, I turned to one of the trig textbooks by my desk for inspiration. 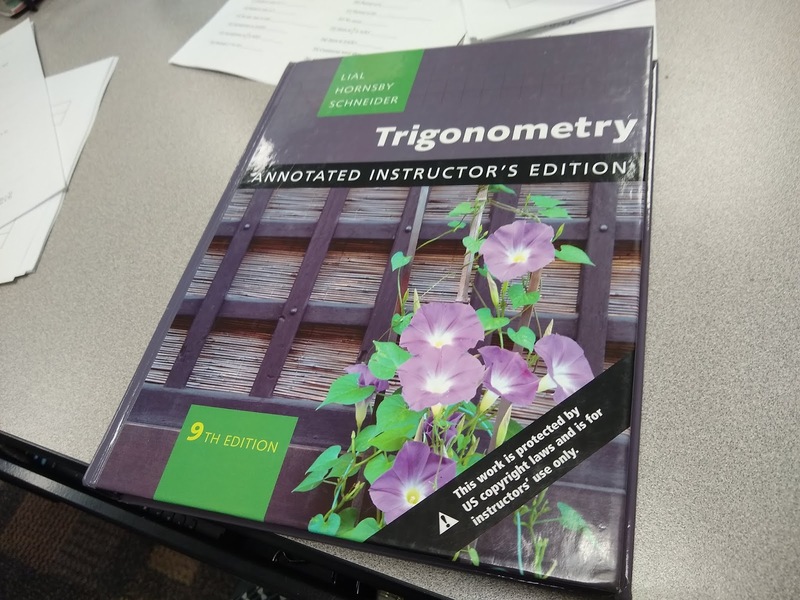 This isn't the book that my district has currently adopted (we are using Demana and Waits Precalculus), but it was left behind by the previous teacher from the days when my school offered a semester of Trigonometry and a semester of Pre-Calculus instead of a year-long Pre-Calculus course that encompasses both. In it, I found some matching activities that I really liked. Then, I decided to go a step further and type up the non-matching questions as additional matching activities. I also typed up a page of identities for my students to use as a reference and keep in their binders after the activity for future reference. In total, I ended up creating five levels of trig identity matching cards. 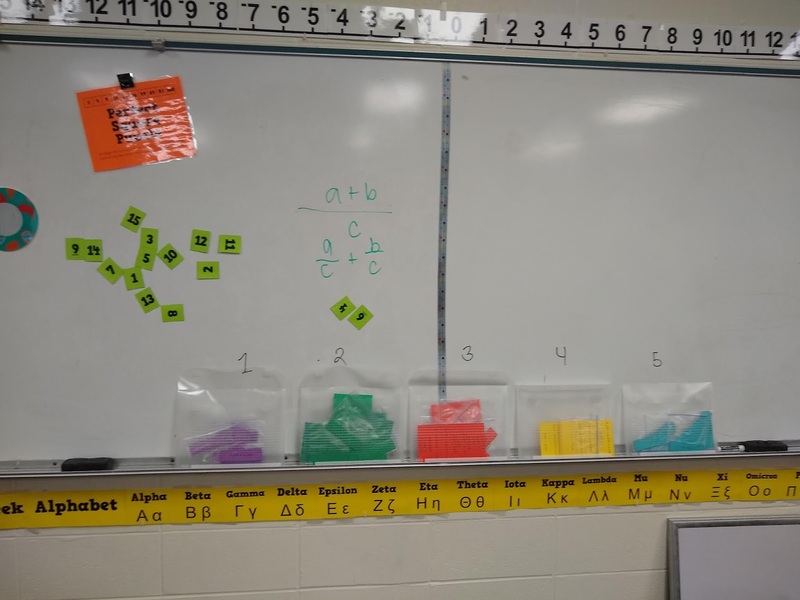 I color coded each level and placed them in envelopes at the front of the classroom. 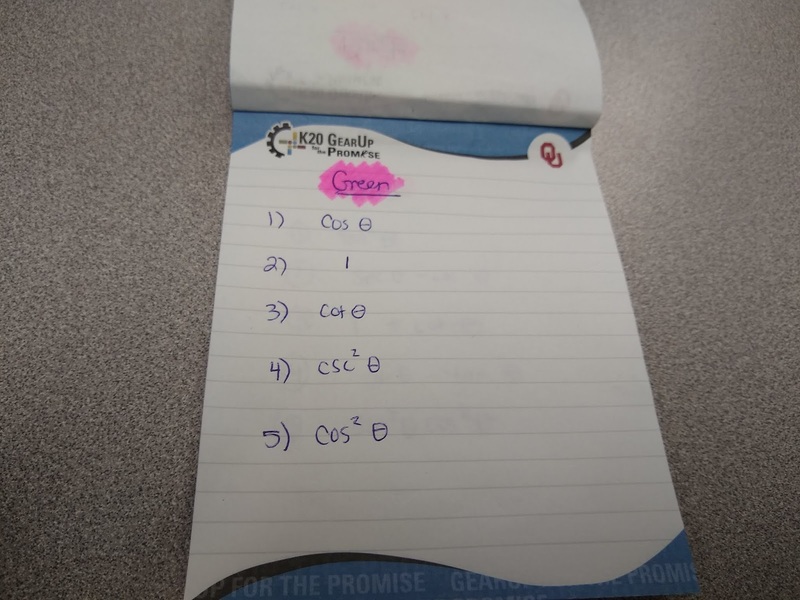 When a group finished with one level, I would check their answers. If they were correct, they would exchange their current color for the next color. If they were incorrect, they would work together to find their mistakes before moving on. 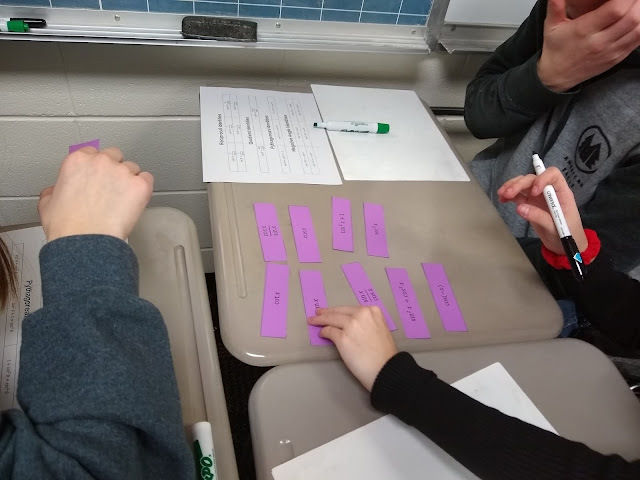 The first set of matching cards were the easiest and required the least amount of work on the part of the students. 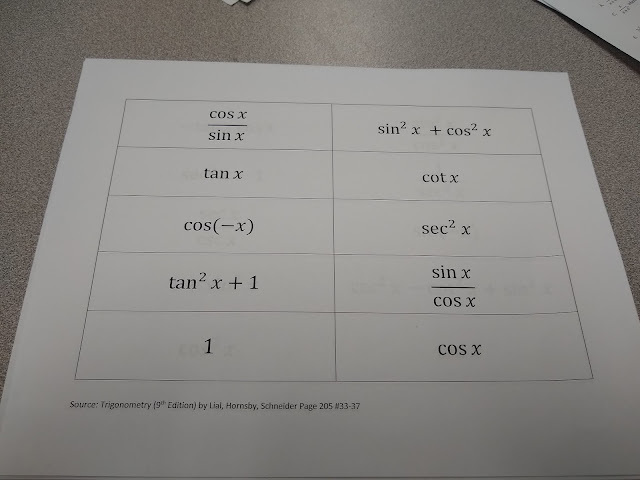 The purpose of these questions was just to familiarize students with their sheet of trig identities. These correlate with the first matching task that caught my eye. 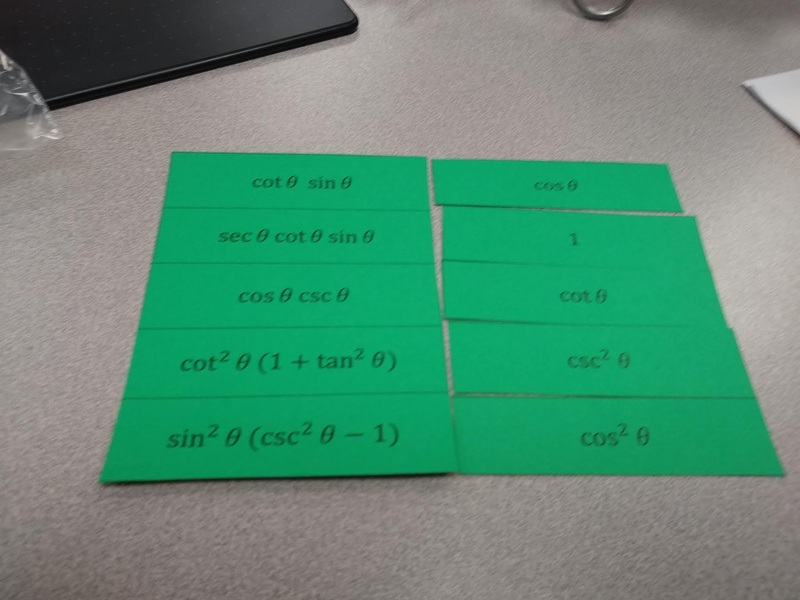 For this set of cards, I cut each card individually so that student groups were given 10 cards to place in 5 pairs. 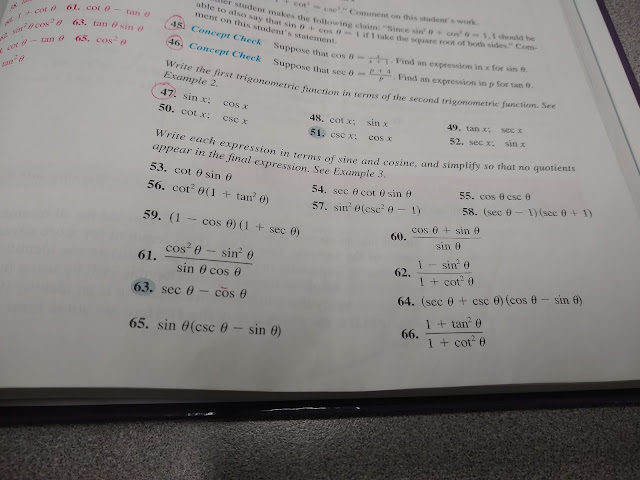 For example, tan x would be paired with (sin x)/(cos x). After giving students this initial taste of success, they were moved to the next level of cards that required substantial rewriting and simplifying using trig identities. 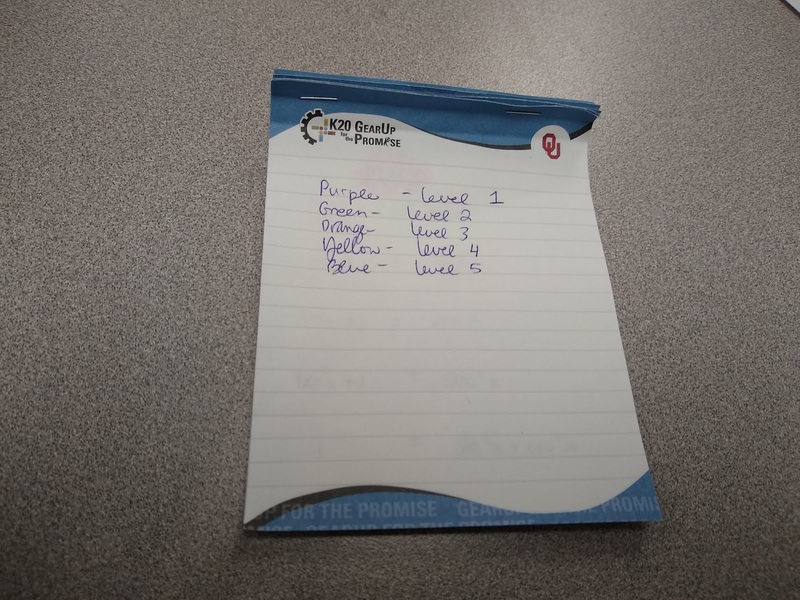 To make this task less daunting, I cut the matching cards differently than the first level. Groups were given a set of five connected cards that could be thought of as the five problems they needed to solve. Then, they were given five loose cards which each matched with one of the problems on the connected card. 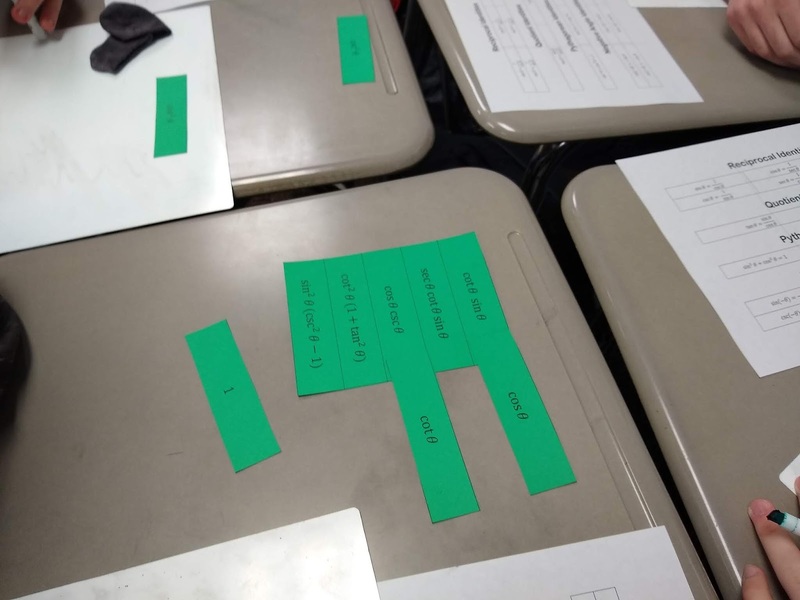 Having the problem cards and the answer cards separated made the transition easier for students. They knew that they needed to rewrite each expression until they arrived at one of the answers in their answer bank. This second level and the next three levels all came directly from the bank of problems in the textbook. The fifth and final level of matching returned to the form of Level 1. These were based on the second matching task from the textbook. These were a bit harder in that students didn't have a clear answer bank to choose from like with levels 2-4. 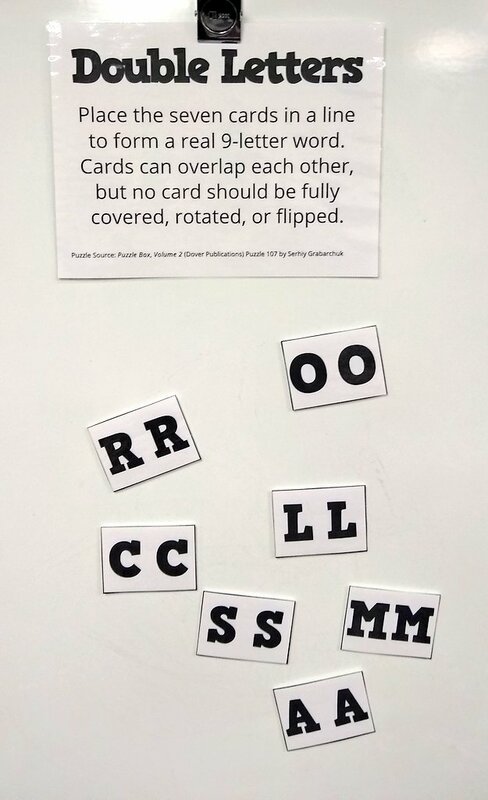 Instead, they had to place the ten cards into five pairs. 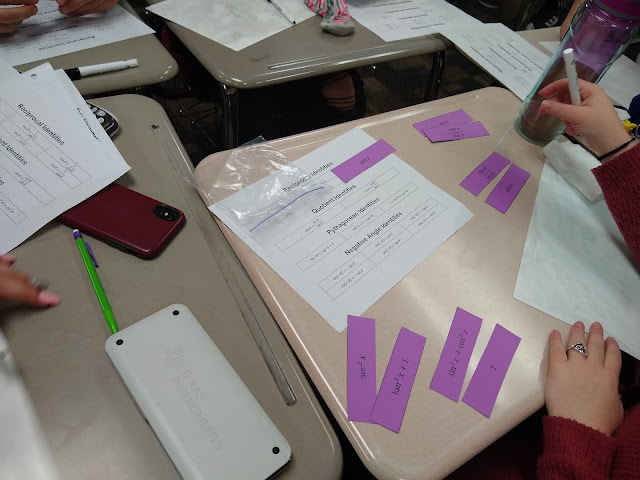 Because I've done so many group activities like this with my pre-calculus classes this year, I was able to pretty much just give them the first bag of cards and let them go. As you can see from the pictures, I did tell them to grab dry erase boards before we started. 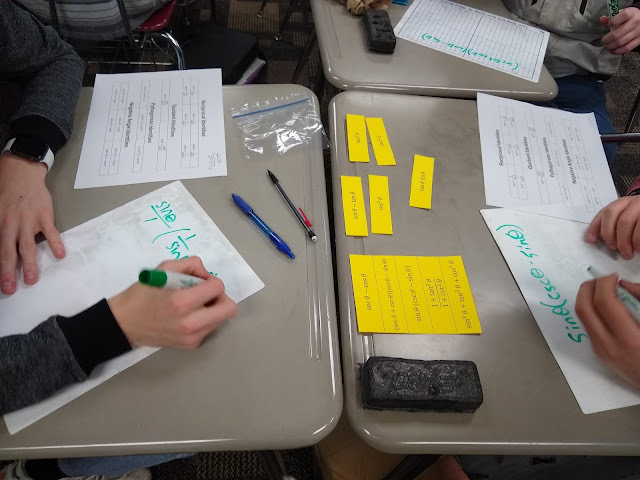 Though, they are so used to using the dry erase boards that I imagine they would have all grabbed one even if I hadn't said anything! It was interesting to see the different groups of students take different approaches as they worked. 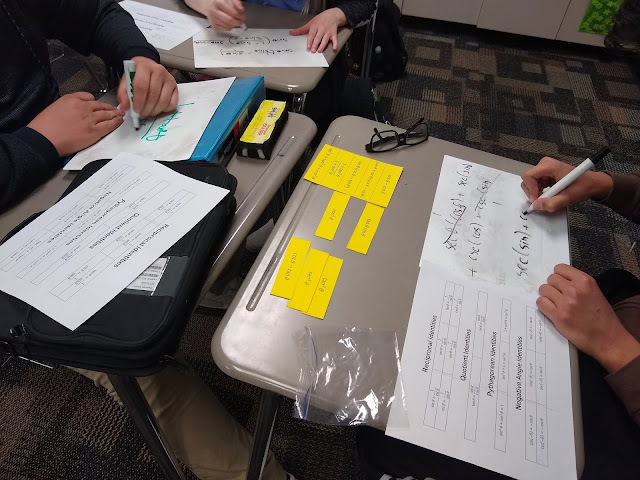 In some groups, all the students worked on the same problem before moving on to the next problem. In other groups, they sort of divvied up the problems and each worked a different one. When a student struggled with their problem, the rest of the group jumped into help and offer advice. I will note that there was one major downside to how I structured this activity. In some groups, they would work the first three problems. Then, they would guess at the answers to the last two problems. 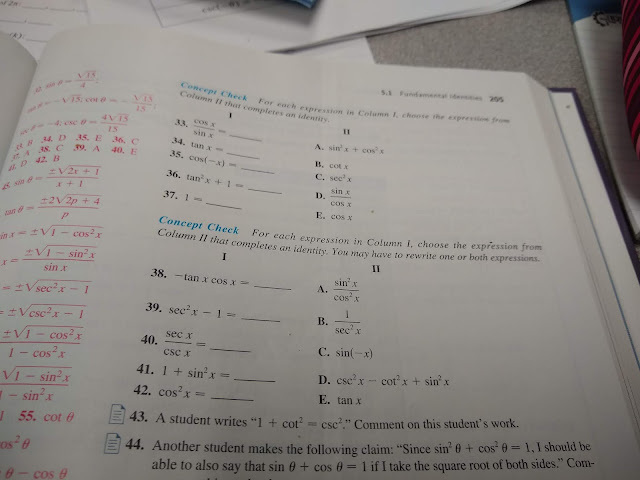 When I came by to check their work, if I said there was a mistake, they would just trade the answers to the last two problems. I only saw this happen a couple of times, but it did annoy me. 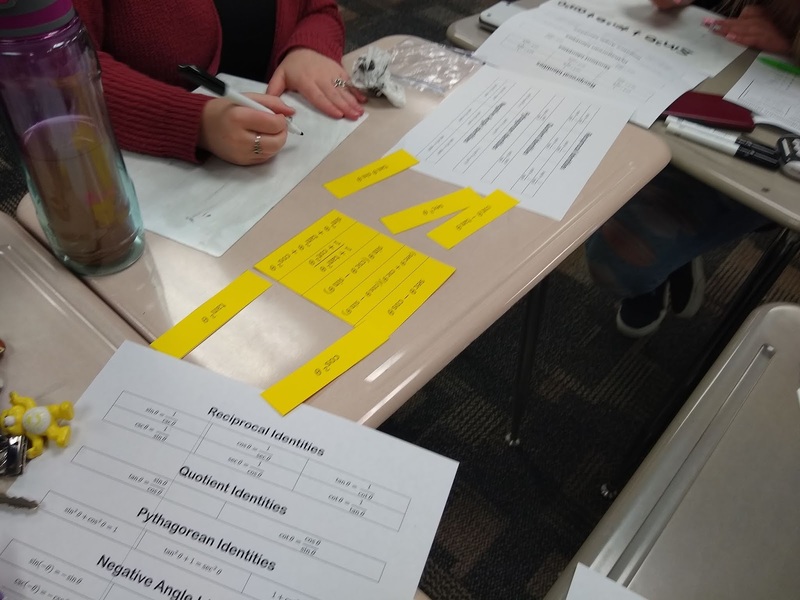 That's probably why the activity I did the next day only gave students one problem at a time so they had to work out the entire problem! 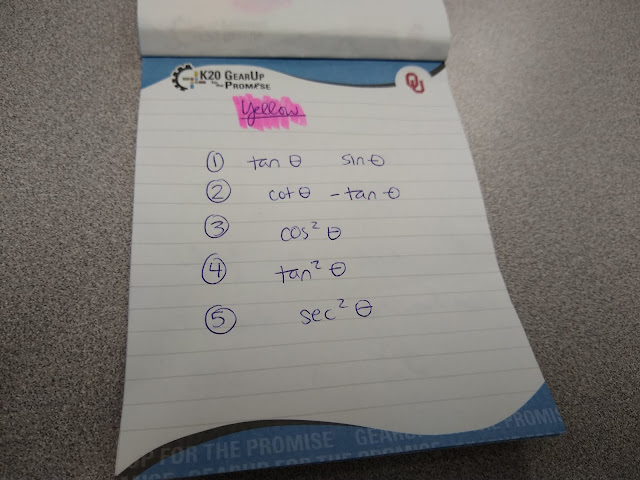 One way to counteract this would to give students a sheet of paper to record their working on that had to be turned in for a grade. 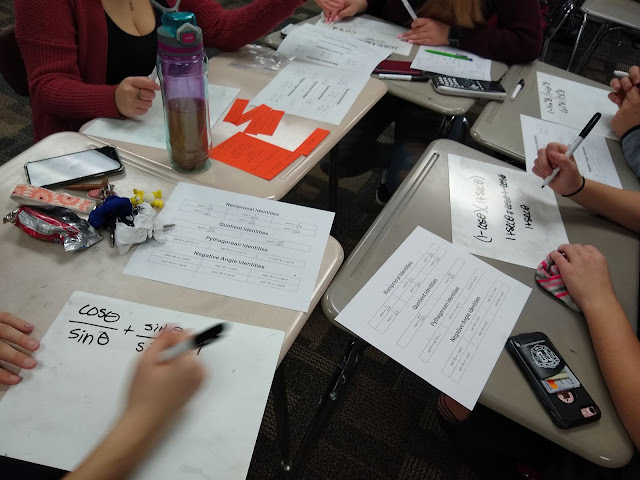 But, I think the dry erase boards are a super useful tool for students when they first start working on trig identities. 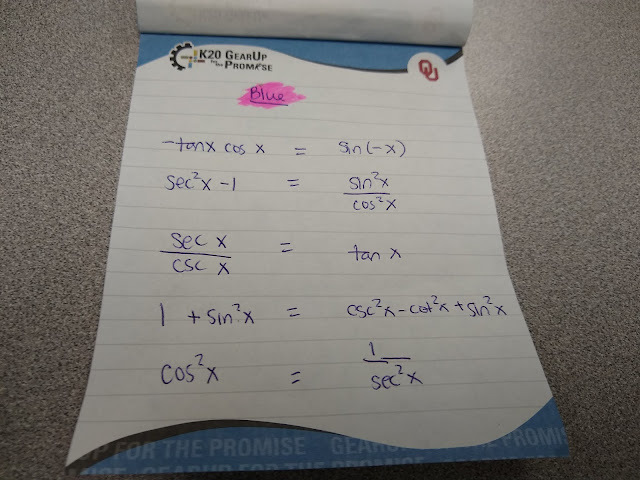 Until you've verified a BUNCH of trig identities, it can be daunting to figure out where to start and what substitutions to use. I often find myself telling students that the work they have done so far isn't wrong, it just hasn't got them to where they want to be. 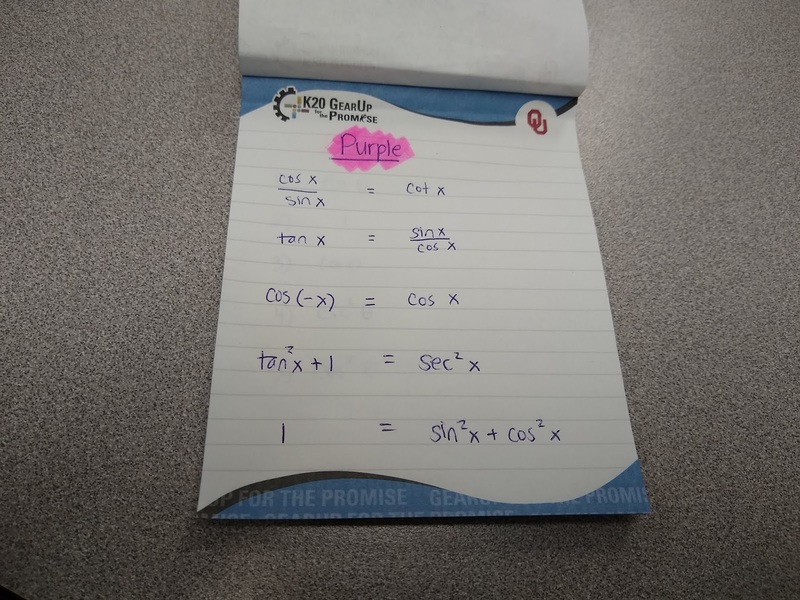 For example, tan x can be replaced by 1/cot x or sin x/cos x. For many students, it is unclear at first when each substitution should be used. The other skill that my students tended to struggle with was knowing when to apply the pythagorean identities instead of rewriting everything in terms of sines/cosines. Some groups finished well before the end of the class period. Other groups got stuck on a level and did not end up completing all the levels. I did this activity on a Friday which meant we had 45 minute periods instead of our normal 50 minute periods. To keep myself sane while checking each group's work, I made myself a little answer key book of sorts. Levels 1 and 5 were the hardest to check because the students had their five pairs in any number of different orders. Levels 2-4 were super easy to check since I had left the questions connected to one another. My students responded really positively to this activity, and I definitely plan on using it again in the future. 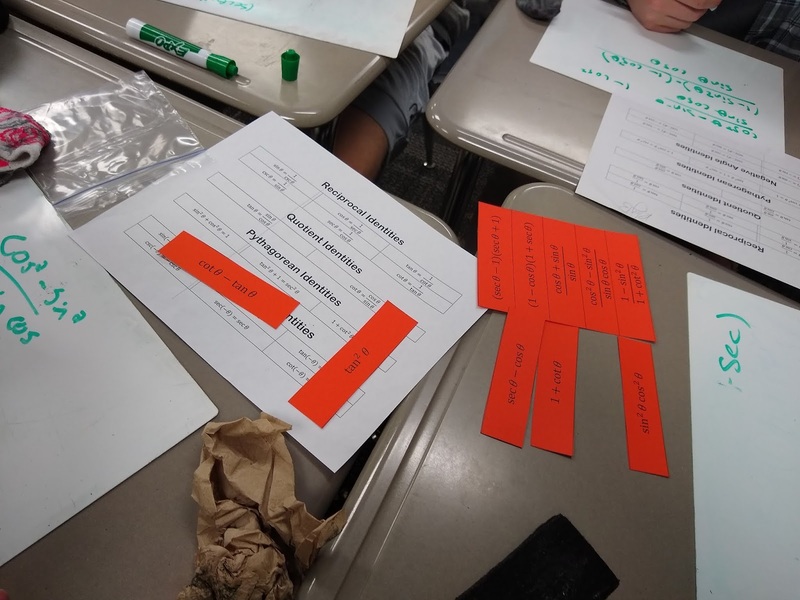 I actually ended up typing up some of the same problems from this group activity as a worksheet for my students to tackle individually as a follow-up to this activity the day after. 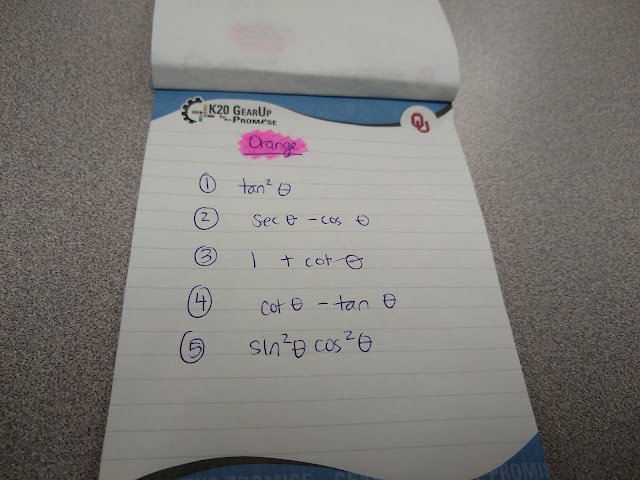 This sneaky teacher was excited they didn't even realize they were the same problems! 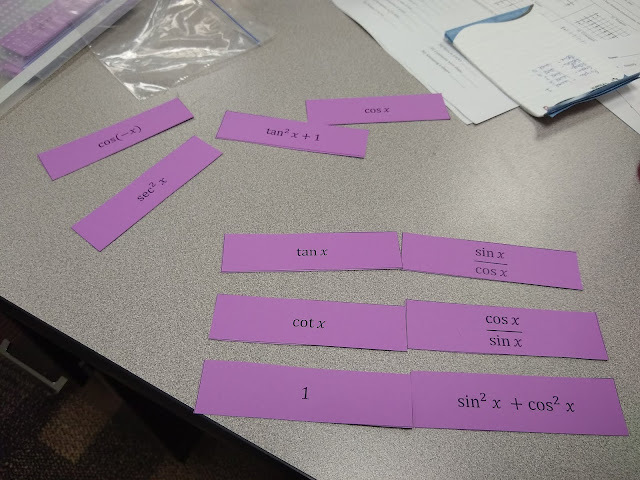 Want to try this activity with your own students? I've uploaded the formula sheet, the matching activities, and the worksheet I mentioned here.